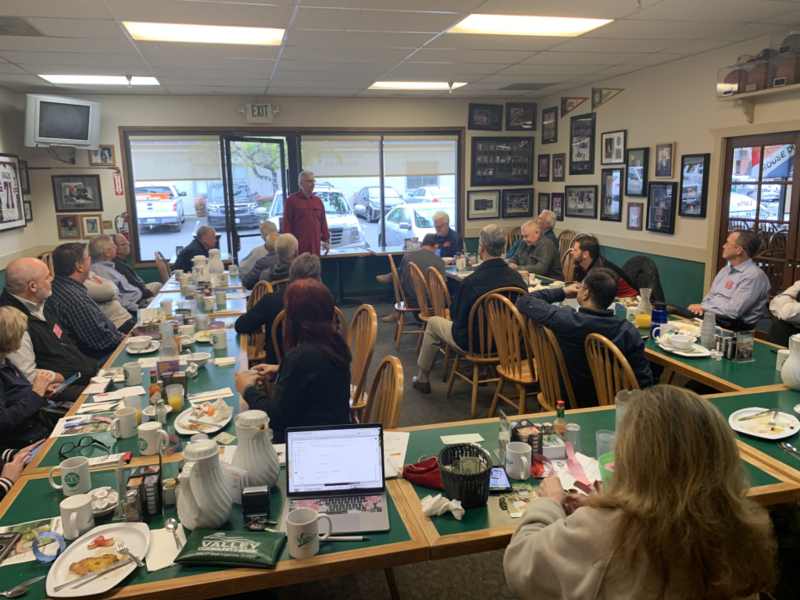 NEXT MEETING: The next meeting of the Tri-Valley Executives’ Association will be held on April 11th Vic’s All Star Kitchen at 7:00am. 1. This is your last meeting to pay Q1 Dues Before $25 Late Fee Gets Added. 2. If you were elected to be on the board or if you are serving another term, you will be notified before the next meeting. The pot of the TVEA 50/50 Raffle is up to $432 with 1 white marbles ($5), 0 blue marbles ($10) and 1 red marble (takes the “pot”).